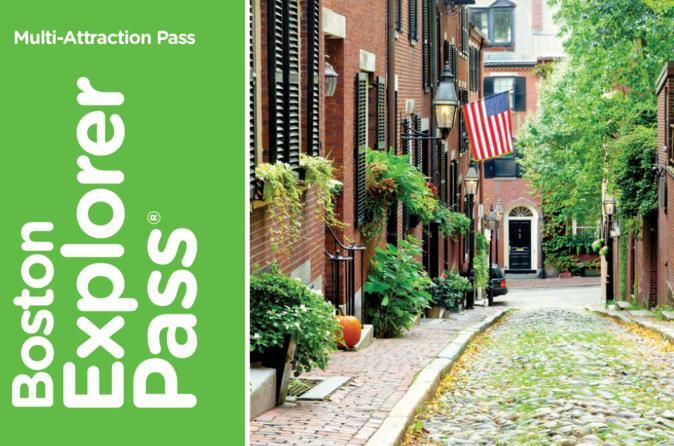 Enjoy discounts up to 35% off regular admission prices with the Boston Explorer Pass. This multi-attraction pass, valid for 30 days after your first use, provides admission to your choice of three, four or five attractions at one price. Choose from more than 19 top attractions and activities in Boston, including the New England Aquarium, Museum of Science and Boston Duck Tour. This is an easy and affordable way to experience the best of Beantown. Save time with direct entry to attractions with your downloaded pass – no voucher redemption required! When you receive your pass, browse through the provided guidebook to choose three, four or five Boston activities from a list of more than 19 popular tours, experiences and other attractions (see below for a full list). Several sites include skip-the-line entry. Valid for 30 days after you first use it, the pass gives you the flexibility to design your itinerary and discover the history of Boston at your own pace. The guidebook includes attraction descriptions, hours of operation, directions and maps. Access to your three, four or five chosen attractions couldn’t be easier — just swipe your pass at designated ticketing areas, and enjoy. Sail past the lines at the New England Aquarium, take a tour of iconic Fenway Park and hit the water on a Boston Duck Tour. The choice is yours.